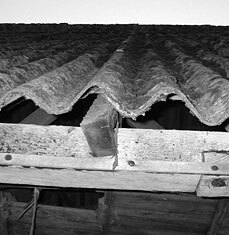 It is highly recommended that an Asbestos Report is commissioned prior to purchasing any building that was constructed pre 1990. Any building that was built or renovated prior to the 1980’s, is HIGHLY likely to contain some level of asbestos. Asbestos is a hazardous material which is scientifically proven to cause major illnesses and potential death if exposed to the airborne fibres. If your property has evidence of degraded or damaged wall or roof cladding and floor linings, we suggest you engage a consultant for an assessment and report. You want to ensure your home or workplace is a safe place for you and your family. A report on asbestos and other hazardous materials will also usually be required by Council prior to commencing any new building or major renovation project, as these materials will need to be removed by specialist contractors prior to the demolition process commencing. It’s an important factor that will need to be budgeted in to your construction costs. 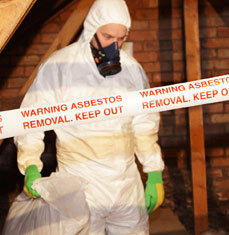 We also offer a workplace asbestos report which includes sampling, a recording register and lab reports. This service can be quoted upon once a site inspection has been carried out by our office.